Sooyong Kim is a licensed massage therapist in the State of Maryland (Lic. Reg. Cert. No. M01267) and has a practice in Takoma Park, Md. She also works at Blue Heron Wellness in Silver Spring ( http://www.blueheronwellness.com) on Mondays from 3-8 p.m. and Wednesdays from 2.15-7 p.m. A gifted, intuitive practitioner who creates space for your healing, Sooyong combines various modalities in her practice. In 1998, she graduated from the Ohashi Institute in New York City, and completed her third level reiki training. She has studied Craniosacral Therapy and SomatoEmotional Release with the Upledger Institute, Vita Flex, Raindrop Therapy, Spiritual Healing, Zero Balancing, and has had extensive experience in martial arts, including Tang Soo Dong, Karate, Aikido and Qigong. Sooyong grew up in South Korea, Malaysia, New Jersey, and Pennsylvania. She worked in the corporate world in New York City after obtaining a BA in comparative literature and a certificate in European Cultural Studies from Princeton University. After experiencing a call to the healing arts, she began studying at the Ohashi Institute, and eventually moved to the Washington, D.C. area. Sooyong continues her study of the healing arts, since she believes that she is on a lifelong path of learning and discovery. "I love getting a treatment from Sooyong! Whether I'm feeling like talking or not, she listens to my whole being and tends to whatever is "up" for me. I've experienced deep releases of aches and pains, old trauma and thought patterns that were carefully supported by Sooyong's gentle, skilled, and intuitive touch. Her unique blend of techniques and insightful comments always leave me feeling better in my body, quieter in my mind, and calmer in my heart. Thank you, Sooyong!" 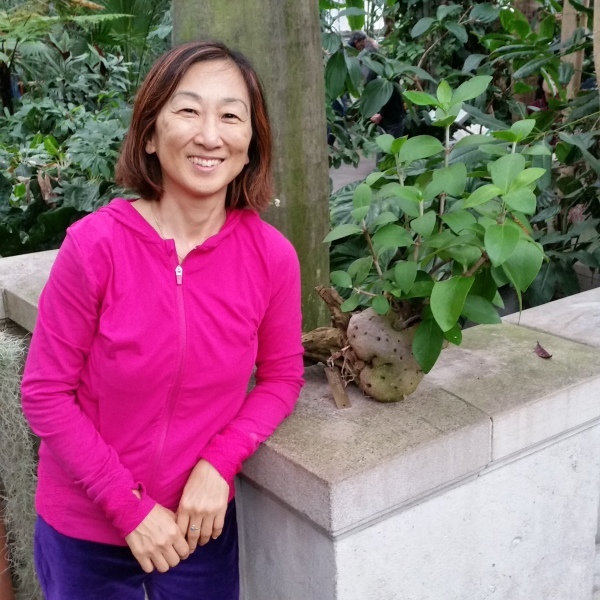 "Sooyong Kim is a wonderful craniosacral therapist. She blends shiatsu, reiki, and craniosacral together in a manner that has benefited my fibromyalgia and migraines tremendously. (I call it the Sooyong special.) Since coming to her, I have been able to decrease (essentially eliminate) my migraine medication and keep my fibromyalgia in check. To top it off, she has a wonderful personality and always a welcoming demeanor. I am glad to have found her!" "Sooyong is great. Her massages are not only relaxing but also very therapeutic. I've seen her many times for help with my TMJ headaches. Her massages provide more relief than typical analgesics. Lately, I've been having difficulty sleeping. Her massage was so relaxing that I finally slept through the night after many months of frequent awakenings. I recommend her very much." "Sooyong Kim was able to provide relief from a headache I had for 18 months. After my first treatment, I was headache free for two days. After routine treatments for three months, I am headache free most days. I can't express how grateful I am to Sooyong for her skill. I had tried many therapies over the 18 months, including craniosacral work, but Sooyong was the only person able to provide any relief. " "Sooyong’s work is always highly skilled and professional. Whether doing craniosacrial, shiatsu, or other work, whether addressing my neck pain or my feeling stuck, she always has a gentle yet effective touch. I feel more like myself after a session." "I worked with Sooyong for many years to reduce my anxiety and stress. Her approach stands out because she has experience that addresses theses issue on many levels: physical through the shiatsu massage, subtle bodies through acupressure, and the brain through craniosacral. It’s like getting acupuncture and massage and craniosacral all in one package! She also has years of her own spiritual work and can offer helpful suggestions if asked about life issues. The session is relaxing and releases and opens up the body in a way has been more useful than traditional massage. I feel less anxious and more empowered afterwards. "When I need a 'tune up' I go to Sooyong for several shiatsu treatments. She treats the whole person. I always feel uplifted physically and spiritually after a shiatsu treatment by Sooyong. She has helped me more than any medical person. I recommend her very highly." "Sooyong Kim's treatments are a tremendous source of relief from physical and psychological pain and stress. I was suffering from chronic back pain from a vertebrae compression fracture complicated by frequent migraine headaches and anxiety when I began shiatsu and craniosacral treatments with Sooyong. Her treatments created a hiatus from pain and have opened the way to stopping migraines, being positively pain free, and feeling more calm, strong and resilient. Appointments with Sooyong continue to be crucial to my pursuit of health and well being." "My wife and I have been seeing Sooyong on a monthly basis since 2003; these shiatsu "tune-ups" are an important part of our health regimen!" "Every time I experience Sooyong's skilled and intuitive practice of shiatsu and reiki I come away more centered and at peace with myself and the world." "Ranging from invigorating to subtle, Sooyong's work is always rejuvenating. Her focused intelligence and athletic ability combine in a dance of healing energies. Her high standards and professionalism inspire my trust."